We are one of the largest manufacturers and suppliers of hair wigs from New Delhi. Our hair wigs are of superior quality and made of human hair. 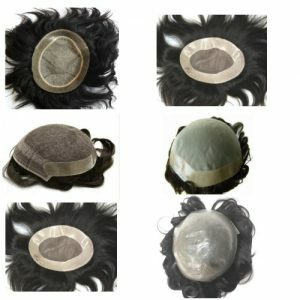 We have established our expertise in the men’s wig maker industry. 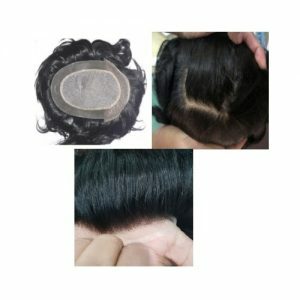 Due to this kind of expertise, we are presenting a new product in our product line, which is different types of filament hair wigs for people who face different hair problems. Our wide range includes filament wigs, hair system, custom hair wigs, men hair replacement wigs, filament patches, and stylish hair wigs. The passion we have achieved for the company is due to better quality with our product range. In Delhihairloss, different types of hair wigs are available in a wide range of hair styles, colors and base types in line with the different needs. These are available in all sizes and in different hair lengths for both men and women. We can also customize a wig as per your exact scalp shape, base type and color you prefer. Delhihairloss Hair Wigs in Delhi for men and women are made only with 100% Human Remy Hair wigs and can be styled, colored and processed as per your wishes. Wigs are available to Chemotherapy, cancer patients and other radiation therapies cause hair loss at competitive prices and are available in various colors and styles catering to an individual’s needs and requirements. Hair wigs are light weight, easy to wear, comfortable. The experts at our shop will help you to choose the right type of hair wig that will restore your hair to its former glory. You may choose between Human Hair wig and Synthetic hair wigs depending on your requirements. These wigs are also available for patients suffering from Alopecia and cancer patients other cases of complete baldness. For many of our customers, the natural appearance is a top quality, which they find in their wig. Whether between the long, the small, or somewhere in the middle. The natural visible wig needs to be soft, with gentle glow and specific movement to pass the test. For this reason, we provide different types of new hair wigs and natural looking hair types.